A state official in Texas recently introduced a bill to the House of Representatives that would decriminalize small amounts of cannabis. State Representative Joe Moody (D) out of El Paso submitted the bill, and it is slated that the House body will address it in the first quarter of 2019. “A person who knowingly or intentionally possesses a usable quantity of marihuana [sic] in an amount that is one ounce or less does not commit an offense but is liable to the state for a civil penalty not to exceed $250,” the text of the bill states. 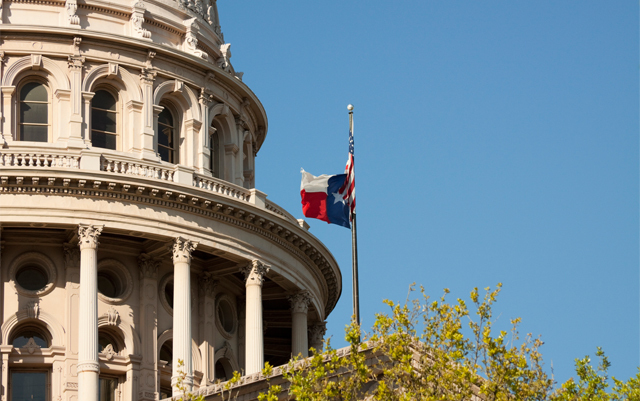 This bill would serve as a bit of a catch up for the Lone Star state. While medical cannabis is legal in Texas, many residents believe the state’s program is one of the most restrictive in the U.S. The fact that Texas state officials who are actually in favor of decriminalization are still using the spelling ‘marihuana’ might be a good indication of why Texas lags behind other states when it comes to advances in cannabis freedom. As the law stands right now, possession of up to 2 ounces of cannabis is considered a class B misdemeanor, and could lead to a jail sentence of six months. According to the Texas Criminal Justice Coalition, 70,000 people are arrested for cannabis possession in the Lone Star state – every single year. While Texas might be slow to adopt legal cannabis legislation in comparison to the rest of the U.S., it’s not for lack of trying from some state officials – especially Joe Moody. Moody was able to pass a decriminalization bill last year, out of committee, with GOP support. The bill unfortunately never reached the floor for the state representatives to debate. Texas democrats are not the only ones to come out in support of cannabis decriminalization in the Lone Star State. Some republicans in the state have publicly announced their support of removing criminal penalties associated with possessing small amounts of the plant medicine. “We support a change in the law to make it a civil, and not a criminal, offense for legal adults only to possess one ounce or less of marijuana for personal use, punishable by a fine of up to $100, but without jail time,” a spokesperson for the Texas Republican party told Forbes. Texas cannabis legalization advocates like those from Texans for Responsible Marijuana Policy say that the proposed decriminalization bill simply reflects the current opinions of the majority of U.S. citizens as a whole. Time will tell if state officials will reflect the will of the people.